English Conversation Classes will give you confidence in speaking English. You will reduce your ‘thinking time’ and speak in a more natural and accurate way. 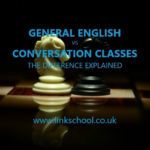 By improving your ability to converse in English you’ll make your life easier all round. You’ll improve your job opportunities, have more fun, make more friends and fit into your English-speaking environment more easily. General English courses are for students who need practical English for everyday life. You will learn all the skills needed to communicate effectively in English – improve your ability to communicate effectively and learn practical English. 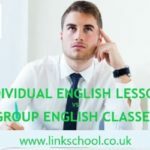 Our General English classes will help you to develop your speaking, listening, reading and writing skills and improve your grammatical knowledge and confidence in using the English language. 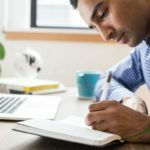 The Academic IELTS test training course will prepare you for the IELTS examination and build your language skills to help you succeed in your academic and professional life. 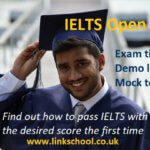 Opening the door to both education and employment, the IELTS exam is internationally recognised and indeed is compulsory for entrance to many UK university courses. 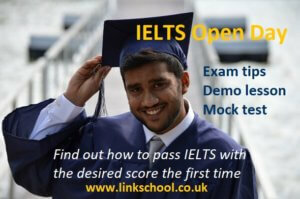 Evening IELTS: Tuesday, Thursday 7 – 9 p.m.
Our Business English courses are designed for students who want to improve their business skills in English. These include participating in meetings, negotiating, making presentations, using the telephone and writing business correspondence. You will also practise and improve your social English within the business environment, study grammar and vocabulary in the context of business, discuss a wide range of business-related topics and participate in practical case studies. Our Medical English course is perfect for non-native speaking doctors, nurses, pharmacists and other healthcare professionals looking to improve their English language proficiency. Our Medical English classes will improve your language and pronunciation and help you to communicate confidently and work professionally. Other courses available at our English language academy include: Job Interview Preparation, English Plus Art, Aviation English, Legal English and Private English Classes. Most of our English courses in London are available at a range of times to suit your schedule: including daytime, evenings and weekends. Intensive English courses in London are the fastest way to improve your English. You can choose your English course from General English and Conversation English Classes. You may also add private lessons to suit your needs. 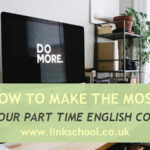 Our part-time English courses are designed for people who have busy working and family lives and need to fit the classes in with their other activities. These courses will help you to improve language skills for everyday life.